Traveling for business can be as simple or stressful as you want it to be. It stinks to be at the mercy of Taxi drivers who drive like maniacs and charge excessively. Rental cars provide you with the freedom to travel whenever and wherever you please. 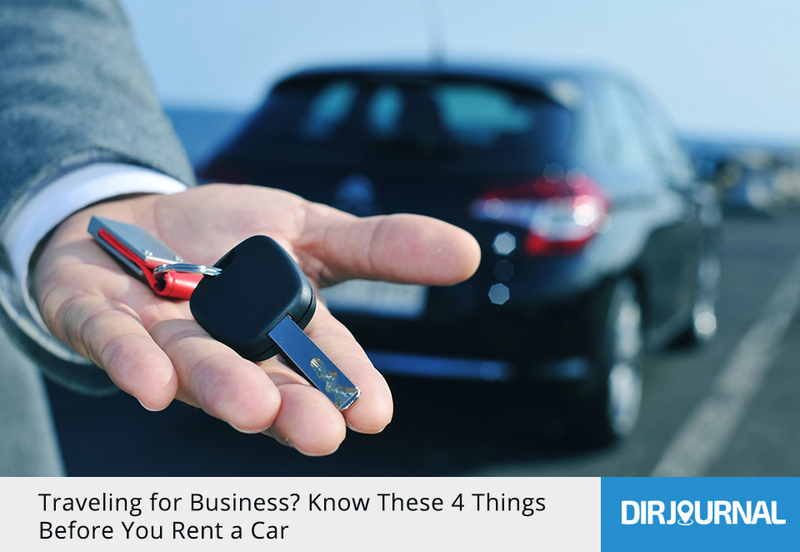 Here are four things to consider before you rent a car. You may (or may not) need insurance. Don’t listen to anyone who says you absolutely need (or don’t need) insurance for your rental car. There’s no way to provide good advice without being aware of your situation. Second: does your credit card company offer any insurance? Some major credit card providers like VISA, Discover, and Mastercard provide cardholders with “loss of use” insurance for their rental cars. If you’re not sure, contact customer service and ask for details. Note: “loss of use” is a penalty that’s paid for the loss of potential revenue when a car is being repaired. Those fees can add up quickly. If a company can make $500 per day on a rental car that’s off the road for three days, you’ll be out $1,500 without insurance coverage. Worth the risk? I don’t think so! Bottom Line: If your auto insurance covers rental cars and your credit card company covers ALL fees related to “loss of use,” then you might not need insurance. If only one of those facts are true, you’d be wise to buy enough insurance to make up for the difference. If neither fact is true, you need insurance. If you don’t fill up the tank, you’ll pay for it. Airport car services expect you to bring your rental car back with a full tank of gas. As soon as you return the keys, they will inspect the car and hand it over to another driver. Fail to refuel and you’ll pay a premium for gas: up to $10 per gallon. When you’re leaving the airport, pay attention to your surroundings. Figure out which gas station would be the most convenient place for a pit-stop during your return trip. Taking a few seconds to prepare will save you from an awful lot of stress later. Bottom Line: Refuel your rental car before you bring it back to the airport. There is no down-side. Capitalize on any discounts or reward programs. Members of AAA, AARP, and other organizations get a better deal with some car rental companies. Here’s an easy script you can use the next time you’re renting a car: “Hi. I’m a member of ________. Do we receive a special rate?” It never hurts to ask. If you’re a frequent flier, that might help, too. Bottom Line: Membership perks can’t benefit you unless you’re mindful of the specifics. Look into it! Driving in an unfamiliar location can be stressful. Have you ever seen rush hour traffic in Chicago? It’s a nightmare. Unless you’re a skilled navigator, expect to get lost several times. For people who are directionally challenged, it’s really bad. You could waste hours of your business trip driving around in circles: time better spent enjoying your trip! Luckily, many car rental companies provide limo services and a luxury passenger van. You won’t have to worry about getting lost, obtaining gas, having a car wreck, or finding your way back to the airport. You’ll get to ride in style while a professional driver takes care of those tasks for you. How convenient! Bottom Line: You don’t have to just “rent a car.” You can also rent a driver to go along with the car. Now you’ll be able to focus 100% on exploring the city and making the most of your business trip. Do you know any friends or colleagues who are gearing up for a business trip? If so, share this article on social media. They will appreciate the advice.